Agile World University & Univercity thanks them to contribute to have an important role in the dessimination of Agile in their country. Daniel Teng, China, permits to create a truth dynamic in several area of China. 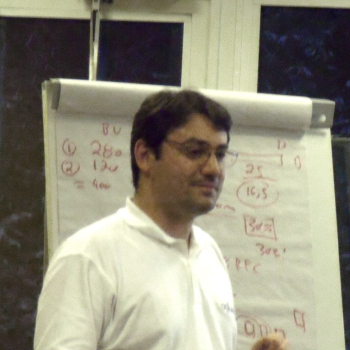 Laurent Morisseau, France, has realized in 3 years to propulse his area of France as the biggest area in Agile topics. Michel Goldenberg, Brazil, installed 5 teams in 2010 with an altruist point of view in 5 cities for Agile Tour events. What do you think about AgileTour? "I shared smilar values with AgileTour which which are low-cost, de-centralized and self managed organization model, community oriented. I like the "Mass-Communication" model very much, with AgileTour, I am able to know a lof of friends in the country and all around the world who share have same kind of passion for agile and community. In addition it created awareness of agile and encouraged agile movement all around the world." What do you made for this event in 2010? "As one of the main organizers in China, I helped 8 China cities (Beijing, Hangzhou, Shenzhen, Guangzhou, Shanghai, Chengdu, Xi'An and Qingdao) to organize AgileTour. AgileTour China turned out to be a great success, which is listed as one of the milestones in the history of agile development in China." Daniel Teng works as an independent agile/lean coach. As a Certified Scrum Coach, he has a lot of energy in helping organization with agile transition. Daniel is an active community contributor. He is involved in reviewing, organizing, presenting in various conferences. Daniel has ten years experience in software industry. 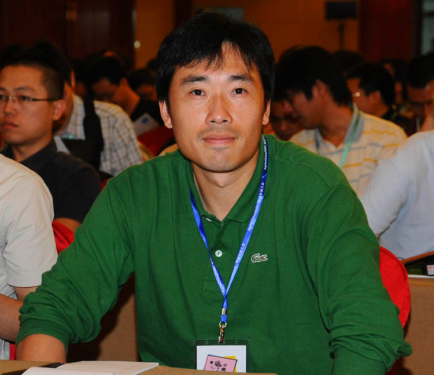 He started Irdeto Shanghai R&D team in January 2006 and has been leading the team for 5 years. The team plays a critical role in developing and maintaining multi-million USD billing and customer caring system. Within four years, the team managed to delivered two major of product and the system running on many countries in multiple continents. "Agile Tour is a great initiative to provide a platform to the worldwide Agile community to gather together , share and learn from each other's experiences. In addition , it also helps in promoting Agile to those still untouched by it. What I particularly like about the Agile Tour concept is the way thet are loosely couples events organized by Local community leaders. 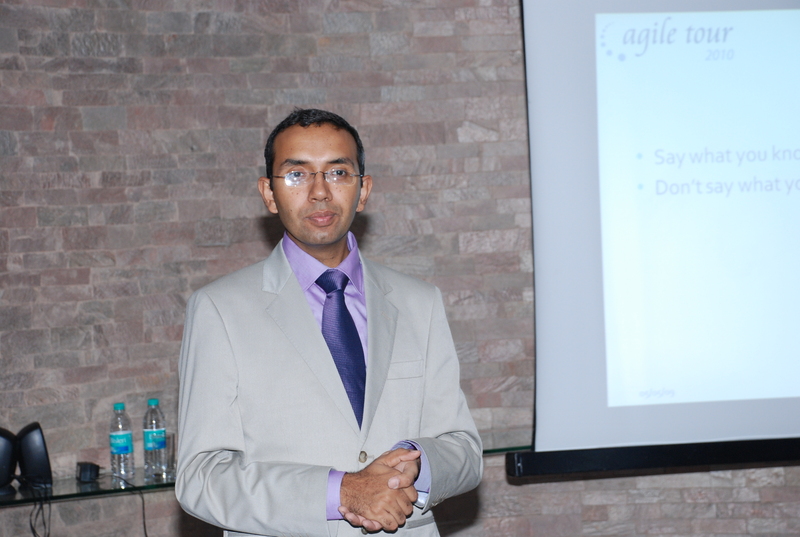 This gives an impetus to recignizing local talent and leaders in the field of Agile." "It was the first time we organized agile Tour in 4 cities in India and the response to the events was overwhelming, We had close to 500 participants with 51 speakers and 40 volunteers. Many of these were attending an Agile Conference for the first time and they all appreciated the purpose and the organization. In addition, we were also exposed to international community through the efforts of Jonathan and Daniel which gave us an insight on how to take these learnings to the next level." Madhur Kathuria has over 8 years of comprehensive management and consulting experience. He has a strong background in Agile and Process Consulting and Program Management with an history of managing programs from conception to implementation. He has extensive International experience in Transitioning large teams to Agile including assignments in India, UK, Norway and Israel. In the process, He has trained 2500+ professionals in Scrum and coached more than 150 Scrum teams. Madhur is the founder chairperson of ISEC, an association of Scrum Enthusiasts from all over India. "When I founded Morisseau Consulting in Rennes, Agile was latent. I have decided to launch a local community to make visible the local actors. To create the dynamic, I proposed to organize the first AgileTour in Rennes. The board and some organizers of the first edition helped us to make this event a success with 200 attendees. That's what is AgileTour for me: a global network of energies and coaches who support local initiatives, helping local leadership and speakers to emerge without being intrusive. But AgileTour is not only about sharing knowledge and experiences through conferences, it is also about supporting the business. Recently, I was short listed to coach a team with another Agile Tour organizer! The beginning of the discussion with the sponsor was only about AgileTour. This is representative of its impact in the business, which is one of the objectives of the event. Finally, AgileTour is agile and chaos in action, not only because of the CAIA, but also because of the way this event and the network is self-organizing since the beginning despite its growing success year after year. I really appreciate the whole dynamic to be faithful and stay consistent with its agile culture." "In 2009, for the second edition of AgileTour, I helped the board organizing the event, participating as a speaker in 4 dates: Bordeaux, Rennes, Nantes and Paris, and organizing Agile Tour Rennes. In 2010, besides organizing the second edition of AgileTour Rennes, I focused on the dynamic of AgileTour in the West Part of France, with two new cities Vannes and Rouen. That was the triggers to create two new agile communities. With 4 dates, the west region is becoming the most active region of France. To support that dynamic, I have founded Agile Breizh, to support the development of Agile communities in the west region. During those years, I also act to get the different French Agile communities (Agile France, French SUG, regions) closer to AgileTour with more communication, interactions and understanding." Former naval architect and engineer, Laurent Morisseau has worked more than 15 years in Software development. Now founder of Morisseau Consulting, he coaches organizations and teams in their journey to Agile. First Certified Scrum Coach in France, he is also a pioneer in Kanban, doing training and consulting. Active member of the French agile community and member of the French SUG board, Laurent organize agile events such as Agile Tour since 2009. "For me AgileTour is the most important Agile conference in the world, it give the opportunity of local people to get organized and create local leaders to grow Agile community." "In 2010 I opened AgileTour to 2 new countries, China where I presented Daniel Teng to the conference and Brazil where I worked to get 5 Cities in the first Brazilian Edition. And my own company, GoToAgile, was sponsors of all cities in Brazil. For 2011, I want to grow Brazilian presence on the Tour and maybe start the Tour in Africa." Michel Goldenberg is the co-founder of Scrum User Group in Montreal, Agile Tour Board Member and very active in users group all over the world. Michel's made the disclosure of Scrum community through conferences. He participated as a speaker at Scrum Gathering Sao Paulo, Open Agile Romania, many cities at Agile Tour, Agile Day in China, and helping organizing Scrum Gathering Orlando 2010, Agile Tour in Brazil and China. As an Agile Tour Board member, Michel was responsible for organizing Agile Tour in South America and Asia. Michel is working to get new Cities all around the world to continue diffusing Agile and Scrum in new markets. Michel helped implementing Agile and Scrum in big companies in different markets like Hydro Quebec, Cisco, Alcatel, SAP, BNC and many others doing internal training and Coaching. He is specialized in Product Owner Coaching, helping them to improve the ROI of the products and to avoid waist on the company process. As Michel is fluent in three languages, English, French and Portuguese, and speaks good Spanish, he's able to work in many different countries with different cultures. Nowadays, he works in Brazil, France, Switzerland, Romania, Bulgaria, China, and Canada. He enjoys working in developing countries to teach them about Agile and how to improve their product development processes. With over ten years experience in IT and five years working on Scrum projects, Michel Goldenberg understands the reasons hindering Scrum's acceptance in companies and concluded that errors in planning were one of the main reasons for the resistance. What differentiates the consultants is a real passion for their work. Michel has a particular passion for Agile Estimating and Planning, creating united and well balanced teams, and maximizing the ROI (Return of Investment) of projects in which he worked as a coach, and he has helped many teams to take projects considered failures. How to become Agile Ambassador®?